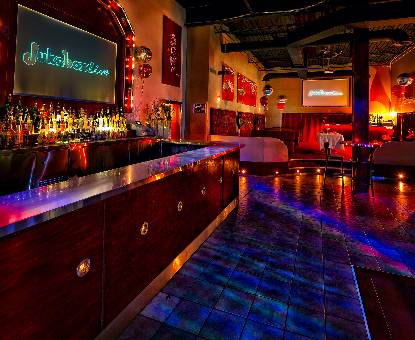 JUKEBOX LIVE arrived in 2006 and now 10 years later has maintained its status as the best nightclub for mature clientele–ages 25+. We have been consistently nominated & awarded for ‘best nightclub’ in town. Our venue attracts hundreds of local and GTA party-goers every weekend–open every Friday & Saturday nights; and most long-weekend Sundays. The scene is set with modern vibrant decor, upbeat music and a great crowd. JUKEBOX LIVE is where people love to dance; and Toronto’s DJs love to play. Close to HWY 401; FREE plaza parking; ATM on premises. A dressy-casual dress code is always in effect. The best alternative to downtown! We look forward to serving you all! Make it ‘a night out on the town’ at JUKEBOX LIVE. Arrive early for delicious eats and make your evening complete into the late night with dining, dancing and good cheer! Our tapas-style menu offers an array of popular plates and side servings to satisfy any group or individual. Reserve lounge seating or grab a high table as available–food is served at any of our seating areas. Illuminated tables, luxurious suede & wood textures, and soft candlelight make our sofa lounges feel relaxing. Step up to the large 30-foot main bar, stained in a burnt mahogany hue; lit with dimmed recessed lighting; and topped with a glowing white counter. A team of servers await your arrival; as may others enjoying their drinks already. 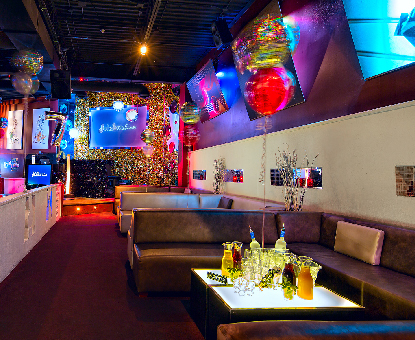 The side bar at point of entry is home to another group of socialites–they’ve met there before or will meet for the first time quick and sweet. 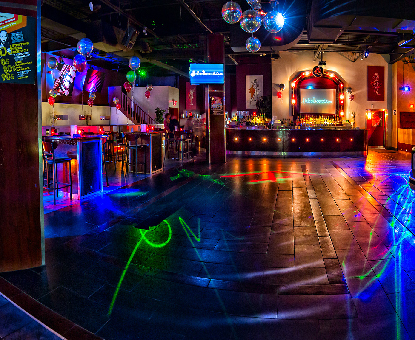 Which ever you choose, enjoy signature martinis and mixes amongst fun party people and popular dance music. 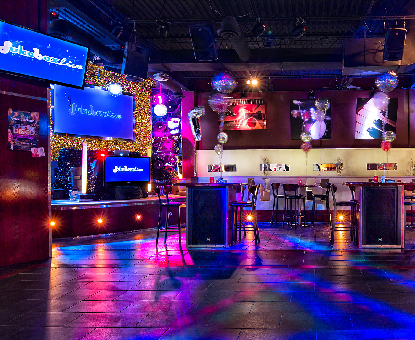 JUKEBOX LIVE Resto Lounge is a concept venue and destined nightspot for party-goers from Burlington in the West, Barrie to the North; and Bowmanville in the East. We’ve brought the ‘big city’ nightlife here and it’s worth the drive! Resident and guest DJs take over every Friday and Saturday night providing a multi-sensory experience of music and video mixes spinning your dance faves—80s/90s Old School, TOP 40, Club Anthems, RnB Dance, House and more!!! JUKEBOX LIVE is your choice venue for the perfect backdrop for private & corporate functions; and for your promotions party. Add flair and glamour to your party in a unique and fun atmosphere. Available on: SUNDAY–FRIDAY days & nights; SATURDAYS 1:00PM–6:00PM. We provide catering & bar services; and have vendor connections for most party amenities–DJ services, Limo services, Live Entertainment. Venue amenities includes: Large centre dancefloor; raised band/DJ stage; audio/visual equipment–speakers, projection & tv screens; lounge seating; bars throughout; coat check, washrooms & change room; patio; standing-room capacity 500 persons.